SB, That is a fascinating read. I liked it's underlying optimism. But I wonder. Who was it that said World War IV will be fought with sticks an stones? I actually don't think WWIII is the only way to get to that state of affairs; societies have collapsed for far less dramatic reasons--the Lorax comes to mind! In any case, when I was 15, I thought it would be either nuclear war or the stars; now I'm not so sure. Thank you for sharing this. It was well worth reading. I tried to link that on fb but wasn't able to for some reason. My reaction was, it's either incredibly cynical to believe that such revisionism is possible (I can believe this) or very naive to imagine we might actually live long enough as a sepcies to be able to look back to a long-ago nuclear age. Ah well. No surprises there for any Foundation reader, huh? I do think the assumption that we will go through multiple generations of nuclear reactors--which technology is going to fix all our problems-- is optimistic and naive to the point of irresponsibility. I mean, who knows? I'd love it if some guys figured out safe cold fusion: you know, so we could carry around a power plant in the stainless steal thermos bottle strapped to our shoulder bag. But I'm not sure I'd want to bet the future of billions of people on the chance that's going to happen! As far as radiation goes, a coal power plant of the same output as a nuclear power plant emits a hundred times more radiation. Also from the statistics, nuclear power has caused 50 times fewer fatalities than coal or hydroelectric power. 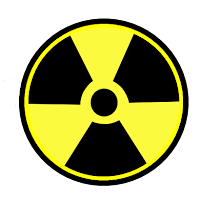 With proper sequestration, I think nuclear fuel is a good medium term solution - right until we build mass scale renewable sources. While it's true that there are other dangers for nuclear fuel, I feel that we can't afford fossil fuels any more. While millions of people are killed each year due to air pollution (both indoor and outdoor), deaths caused due to nuclear power are negligible. France has set a great example by getting 80% of their energy from nuclear fuel. We need to learn something from that achievement. I know a lot of reasonable people think nuclear power is an important part of the solution. I don't want to be dogmatic about it, but I admit I'm skeptical. I remember reading an argument many years ago in response to how expensive nuclear power is. It went something like this: it's only expensive because of all the strict regulations in the west. But then we had Chernobyl--in part because the old USSR did not care to regulate the industry enough, even though it owned it. The point is, some things are mostly safe until they aren't. In other words, if the chance of a leak at a nuclear facility is very low, but the danger, once it happens, is very high, then it is very hard to measure risk. Insurance companies know this; you need a few fires to know how much to charge for fire insurance. For me, I am skeptical in part because I see how we dispose of other kinds of toxic waste in Delhi--like CFL bulbs that contain mercury, for one. They just get chucked, right? And people say, oh we'll get good people on the nuclear stuff, like we did with the Metro. But even there, we've go things falling down and cracks forming because of shoddy workmanship. People are dying because of this already. Imagine what happens when we build a nuclear waste facility that develops cracks after a few decades; it's cancer all around, and you know it's going to be poor people who get those facilities in their back yards. I think aggressive solar is a safer solution--and there is a lot more of that out there. Anyway, it's a good discussion to be having, I think. Also, one ought to work on reducing consumption rather than trying to find resources that will keep up with, or even feed the hunger for energy. SB, I think that's right. Kids always say, "Shoot it to the sun!" But of course then it only takes one rocket crashing to spread the stuff all over the world. NOBODY wants that stuff in their backyard, so it always ends up going to places which are poor, politically weak or too worried about other things. And do you trust the containment facilities? They have to last how many years? I don't think we can justify living high now at the expense of people 100 years from now--or 6 months from now if the cracks in the recent Delhi Metro construction are any indicator!